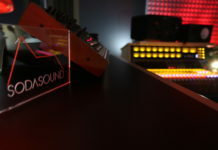 Relocating to Ibiza for the summer has allowed me to establish a connection with some of the leading studios on the island, one of which is Sonic Vista Studios, run by Henry Sarmiento, whose breadth of abilities spans from live sound and mastering to roadie work and studio management. 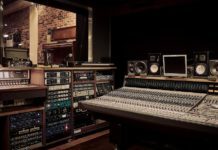 With both major label clientele and independents artists booking time at his studio, I figured he could offer some insight into the world of a studio owner, which you can read about below. Hi Henry. How did a sixteen year-old from New York get into the music industry at such a young age? I had decided to hitchhike to a Max Creek concert whilst in high school, but managed to get a ride on the way there, so I arrived five hours early. I happened to sit myself down in a sunny spot that I didn’t know was the loading dock for the venue, when a huge truck pulled in unexpectedly that was full of the band’s equipment. Since I had just been sitting there waiting for the show to start, I offered to help out the crew, and got to see how a live production was set up. They gave me a stage pass and I got to see the whole show from the side of the stage, much to the surprise of my friends who were in the audience. After the show, the band told me that they were headed to New York, which is where I was from, so they took me with them and we did that show as well. Following that, they said “When we do any future shows, if you want to come early and help with the set up, you’re welcome to do that“. So I would spend hours of my high school years driving to shows to help them out. After having gained more experience with working at live shows, I moved to California at 17, with $200 in my pocket. Since I had roadie experience at that point, I would ask the reggae bands in Santa Cruz if they needed any roadie help. Most of them said “maybe“, until I asked a friend of mine who was a live sound engineer for a reggae band if they needed help and he said “Yeah, tomorrow“. So I started gigging with them as a roadie, until six weeks later my friend left his job, and made me the new engineer. It was a serious thing for me because my friend hadn’t told the band that he was leaving. He brought it up the day before he left because he knew they would flip out. So I had to learn everything about live sound in that six-week period. That’s why I don’t buy it when young people today say they don’t have the time to learn how to do technical things. I already know it’s possible if you really want it. Anyway, the band was obviously nervous about having the roadie kid who had been pushing equipment take over sound duties. In reggae music, the sound engineer is like a band member because using reverb, delay and EQ to tailor the final sound for the audience is a part of his job. But I managed to do my first Sacramento show without any problems. The band even had their friends in the audience listening to my mix to see if I could pull it off, and they were surprised at how well it sounded. They even said I mixed bigger than the last engineer. So from there I did a lot of shows with them for the next three years, and started getting paid for it. Why did the band feel like your live mixes sounded bigger than their previous engineer’s? Because I wasn’t afraid of emphasizing bass, and I wasn’t timid about using the effects on the board. I found that using reverb on the snare and delays on vocals to be exciting. For live sound, I’m all about analog sound boards because you have all the auxiliary channels in front of you. With digital mixers you have to find where the banks are and press twice as many buttons, and I never liked that because my hands need to be able to move quickly. So in the studio, I don’t have any mixing boards, but for live sound, which I don’t work with anymore, I preferred analog boards. As someone who’s done his share of roadie and stagehand work, I’ve found that it offers a promising path to get into the music business. That seems to have been the case for you also. It was, and there’s nothing wrong with starting at the bottom. People mess up when they want to jump staircases. Herbie Herbert started as a roadie for Santana. Steve Parish from the Grateful Dead, who later became Jerry Garcia’s personal manager, started as a roadie. It’s not embarrassing to start there, and a lot of the pros respect that. It’s not uncommon for me to get emails saying things like “I just graduated from SAE in mastering. Any chance I could intern with you?“, and I’m like “Well, you have a piece of paper that says you’re a mastering engineer. Are you a musician? Have you mixed a record? Recorded a record?” and they say “No. I just know how to master. I haven’t worked with musicians“. Mastering is the last step of the process! I’ve done it for many years, but I’ve also cut a lot of records, done many tours, I know my instruments, and without having to talk in a technical way, I can communicate what a song is about, vibe-wise. You have to be able to do that as an engineer because the music is for the audience, not for us technicians. I don’t even mix for the artists, I mix for the fans, because I know that if I do that, the artist will be more successful. There’s no point in trying to impress an artist with your mix and then the fans don’t relate to the music when it comes out. If the fans love it, then the artist’s career benefits. Will using Neve gear sell you more records? No. Maybe your drums don’t need to be mixed on a Neve console. But a lot of engineers feel obligated to use their expensive equipment because of the money they spent on it. The point is, I pay attention to whether a young engineer is aware of things like that. You can’t just say that because you graduated from an audio school that you’re ready to work in a professional studio. You’ve said in past interviews that when you moved to Ibiza you wanted to fill a void in the studio scene. What was that void, specifically, as far as what people on the island were demanding from studios? I saw the need to bring industry standard services to Ibiza. That’s why I was the first studio with a Pro Tools HD system and Pro Tools HDX. So my focus was to be an industry standard bearer who invoiced clients professionally, and offered professional mastering services. People really needed mastering services at the time, not just someone who could slap a Waves L2 on their track. I had the idea to create Sonic Vista three weeks before I moved here. I was in San Francisco, running a major studio and the idea just popped into my head: “I’m gonna create a new studio in Ibiza“, and three weeks later I was here. My friends thought I was crazy, but I knew that if I didn’t move it would be problematic later because the tech boom was bubbling up in San Francisco, and I knew that meant that there would be a lot less opportunities for music studios in the future. So I came to Ibiza to initially do mastering for dance records. That’s all I promoted myself as in the beginning, because I didn’t want to seem like an unfocused amateur. There are a lot of guys who say they can do everything from recording to mixing to mastering, and end up being mediocre across all of them. So even though I came from a background of doing all three, and already had mastering clients in Ibiza and places like Brazil before moving here, I chose to focus on mastering as a start. How did you cover your overhead costs in the beginning, given that you only had a three-week span to put Sonic Vista together, from moving all your gear over here, to putting up acoustic treatment and maintaining everyday studio costs? I took everything day by day. I started off in another smaller location, which I knew I would eventually move out of, and I did two months later, to my current location. I only had one studio for a couple of years, which was my A-room, but then slowly I developed more rooms and promoted more services, as I got more established. Now I’m at the point where everyone knows I’m busy working with music all the time. Sometimes I’m holed up for two weeks at a time because my schedule is full. Risk is a part of running a studio. I know of trust fund babies who go out and buy loads of gear and build killer studios but have no experience or mentors. They don’t even think they need mentors. They’re like “I don’t need to listen to you. I have Youtube“. Yeah, but look at the idiots on Youtube. You’ve got guys on there who tell you to mix with all your faders at 0 dB and clip gain everything until the meters are red! They don’t even try to be humble about their approach, like there’s a chance they could be wrong. They’re like, “This is how you do it!“. And they get hundreds of thousands of views from giving total nonsense advice. They even get praised for it! I don’t get it. Considering the resources it takes to build a studio do you feel like you’d have been able to do it today, given Ibiza’s current land prices and the boom in the club scene? I came in at a really good time, and a lot of my friends have told me that. Ibiza’s unique, and there’s been a big surge in the last four years, so there’s a lot of new people here and a lot of cultural circles that you have to learn about. You have the Spanish, the Germans, the Dutch, the French, and they don’t really mix a lot. When I arrived here, the VIP culture hadn’t blown up yet and the celebrity factor wasn’t as high as it is now. Honestly, I would be careful about starting a studio wherever in the world. I would say don’t do it unless you really know what your revenue streams are going to be and you have a team of people to work with. Before I moved here, I had clients who were prepared to still send me their records to mix and artists from the States who still come here to work at Sonic Vista, even though they have studios all around them where they live. It was because they were happy with the results they got at Sonic Vista. So I had my client base covered. How did you get the knowledge of how to build a studio technically, as far as acoustics, monitoring, interior, etc? Did you have a team of people to help you? I did it all myself. I learnt from over 1500 shows of live mixing how to make any room sound good. That’s what live engineers do. We go into tight rooms, big halls or arenas and they all sound bad, but you have to make it sound great. That kind of stuff makes studio work easy. The truth is that live engineers and studio engineers don’t mix much. It’s rare for them to go into each others world. Live music only gives you milliseconds to make decisions, whilst in the studio you can take all day to fix a kick drum. So a lot of live engineers get bored in the studio and studio engineers get stressed on stage. Luckily for me, I was able to work as both. I’m also very inspired by Rick Rubin. He makes records everywhere, from people’s houses to their trailers to Harry Houdini’s mansion in Hollywood Hills. He just picks the best sounding rooms. I was never into traditional studios because I’ve seen a lot of them, and many sounded quite sterile. The studio I ran for Herbie Herbert, Sy Klopps Studios in San Francisco, was a beautiful old building and we made a great room there. We used our ears to determine where to put the instruments, like having the drums next to the window, even though most people would want to avoid the reflective surface of the glass. But it didn’t matter to us because we liked the sound. I know people who think if they get a certain brand of acoustic foam, that’ll fix all their acoustic problems, when in fact you need to use your ears for that as you build things out. And I’ll share this with you: Acoustic foam has changed over the past 20 years. It’s gotten less dense because it saves cost for the manufacturers. So now you need even more foam to get the same results as before. And frankly, you can dampen your room without foam. There are other ways to address that. Can you talk a bit about your relationship with Herbie Herbert and what he’s done for you and the music industry? He’s my mentor and friend. He’s incubated so much talent that runs the whole music world, and he doesn’t try to promote it. People try to do books on him and his accomplishments, but he stays low-key now that he’s retired. The things he did were endless in number: bringing the first video walls to live shows, putting a sound board in the middle of the venue at Santana’s 1971 show at Madison Square Garden, raising the main speakers on the trusses instead of having them on the stage so that people could hear the music all over the stadium, figure-eight tours of America, etc. He did all that. He made dirt roads paved that people drive on everyday. That’s why when Journey got admitted to the Rock and Roll Hall of Fame, the band acknowledged him and whole crowd applauded that. Herbie put the band together and John Villanueva, his partner, came up with the name “Journey”, and together they sold 150+ million records. I think it’s evident that artists like Journey or Santana, who came out to critical acclaim and sold hundreds of millions of albums, are essentially gone, and not just because of changes in technology, but because that caliber of artist is missing now. Have you noticed this? Yeah. Its because people want a quick fix. It’s the same reason so many kids want to be DJs, because it’s easy. No-one wants to spend years learning how to be a classical pianist or lead guitarist. I know kids in Holland who want to be Martin Garrix more than anything else, and when I ask them why, they show me Youtube videos of all the fans adoring him. That’s the only reason they want it. 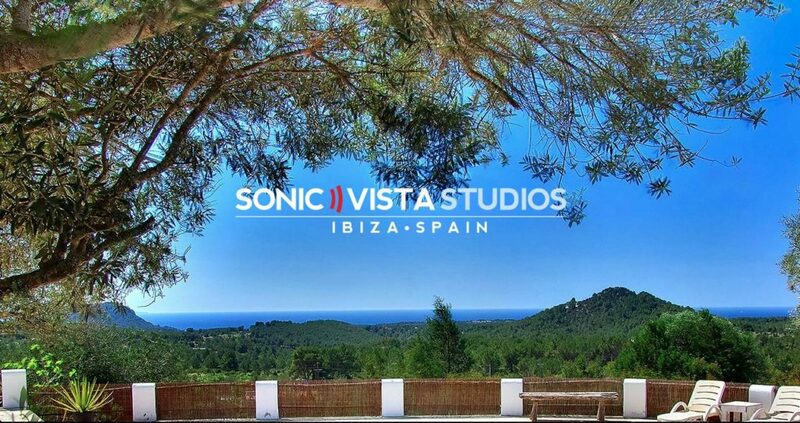 Do you have to deal with a lot with artists coming through Sonic Vista who have ulterior motives in their music goals, particularly since Ibiza is a party destinations for those looking to boost their social profiles? Not a lot. I’m good at sensing people’s mindset by listening to their words and tone, even over a phone call. I had to learn that at a young age as a mixer, because when you go into a venue and the stage manager or club engineer is stressed out over personal problems, you can’t let that disrupt the show. We have to get the show done no matter what that person may be going through. I had to ask myself, “How can I communicate to them without having them get even more pissed and start breaking stuff? We only have fours hours, and we need to work together” So I had to find a way to convey that whatever he had going on needed to stay at the door, and when the show’s done he would never see us again anyway. So working with that kind of stuff across the world in different cultures taught me how to read people and now that helps me avoid the situations I don’t want at my studio. 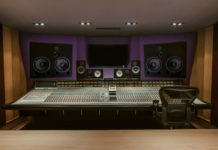 As a studio owner in Ibiza, where do you draw the line for the kinds of artists you work with and allow in your studio? Like you said, a lot of people get into DJing as a means to easy success, with no desire to substantially improve their musicianship, and Ibiza is full of those. If a DJ is going to book studio time here, he’s presumably coming to do something resourceful like cut a vocal or work with a songwriter. To me, that’s great, because everyone’s mentality is going to be A-game. But if it’s an up-and-coming artist with money who just wants to rent the place to take pictures for his social media, then I’m not cool with that. People do try to do that. Also, I don’t involve myself with every project that comes through here. Sometimes the artist has his producer and his own engineer, in which case I play the role of a host. There’s no point in forcing myself to be involved in that case. As long as an artist conducts himself professionally and communicates what they want, I’m cool with it. As someone who’s aware of some of the poor practices of today’s aspiring artists, what do you recommend for up-and-comers to practice? Ear training. It’s what people hardly ever talk about. All these bloggers and people on Youtube, and no-one talks about ear training. So we’re dealing with people who only know how to interact with visual feedback through waveforms on a screen. I hear people say things like, “The EQ shows that I need to cut at 300Hz“, and I’m like “But is there a problem with the overall mix?” and they respond, “But it’s peaking by 2 db“. But maybe it needs to! Why don’t they use their ears to determine that? You should be able to ditch your screen and listen to how the music progresses. But other than learning how to listen over a period of years, is there a method you would recommend for people that want to practice ear training now? Learn an instrument. Everyone says they’re into music, but hardly anyone wants to play an instrument. Playing music not only helps with how you hear music, but it also helps you with synergy. One of the biggest problems with the digital revolution is that it’s created a mentality of unhealthy self-reliance. “I got my laptop, so I can do everything myself. I don’t need to hire a mix or mastering engineer. I’ll download a mix-and-mastering bundle and use that. And I’ll even start charging other people for mastering services!“. It’s ridiculous. I remember coming across these mix-and-master websites where so-called “engineers” offer to work on your track, and you can choose which one you want from a list. A few people I knew would suggest that I sign up on those sites to get more work. One day I decided to check out the profiles of these “engineers”, because they were saying things like, “I’ll mix your track for €10.87!”. I didn’t get that. What’s up with the €0.87? How about €11 or €10? And then another engineer would respond to that with, “I’ll mix for €10.60!” So these guys were competing for pennies! I don’t want anything to do with that kind of thing, where engineers lower their value to make pennies. This all bleeds into the mentality of people doing everything themselves, using the Internet. They’ve abandoned all sense of working alongside other people, even for musical purposes, and I would advise against that. Synergy matters. Even if you don’t have the ability to master an instrument, it helps to jam with people. Let’s say you know a little bit of bass guitar and you have friend who plays drums. That opens up a world of possibilities. You can groove together just using two or three notes! That’s true. A lot of 60s and 70s punk music was that. Bad Brains, man. That stuff is in my DNA. Huge influence. Without Bad Brains there would be no Beastie Boys. Their synergy was amazing, and that was despite being underdogs. Rastafarian guys from DC, playing reggae and punk, and getting the crowds mental. They got a lot of flack for playing punk music, but they went on to influence tons of people. That’s what I would point people to, instead of learning music from a screen. As someone who works in Ibiza, where the clubbing scene is central, how has your work intersected with the DJ community? Any thoughts on how DJing has developed in the 2010s, with EDM becoming what it’s become? The future of the DJ is hybrid. We saw that with Axwell Ingrosso last year, incorporating toms and keyboards into their music. That’s great, rather than just standing behind the booth. Look at what Disclosure did with their first album. They had live instruments on stage, which was great. Everyone knows the DJ thing hit its tipping point a long time ago, but people still show up for the audio-visual spectacle of the clubs and festivals. The DJ is playing a pre-recorded set anyways. That’s not what it used to be, and we can trace that all the way back to Jamaica. DJing didn’t start in Detroit or Chicago. Sound systems, DJing, and MCing came out of Jamaica, and eventually spread into New York. I actually have a story about that: I was at a show in San Francisco once, where I met a nephew of George Clinton who had grown up in the Bronx. He told us about how his uncle had bought him a sound system when he was a teenager, and he would throw the first block parties in New York, before people like Grandmaster Flash came along. He was playing breaks and making a name for himself because of the quality of his sound system, which made him the first DJ to do that kind of thing. But then one day a guy showed up and asked if he could plug his microphone into the sound system and rap over the beats. Once that happened, the audience shifted all their attention to the rapper and the DJ was slowly pushed into the background and eventually forgotten. So later when hip-hop became a scene, this guy wasn’t able to have a career off of it. But my point is that, being just a DJ was never enough, and now that’s the case more than ever. Would you extend that mentality to your studio practice as well? Even in the studio, I know that being able to mix old and new is important. I appreciate analog gear, but I want convenience too. I came into the music scene on ADAT, having missed tape machines by a second, and frankly, thank god. I need fast stuff. Thank god for Pro Tools. There’s no rewind time with that. DAWs changed the game. Back in the day, the musician waited for the engineer, but now it’s the other way around. I’m usually ready to hit “record” before the musician knows what’s happening. It never used to be like that. Half the studio sessions used to be about waiting for the engineer to rewind and sync the tape machines. Think about that. A ten-hour session uses up five hours for rewind time. That’s ridiculous. Pro Tools changed all that. What’s your busiest season at Sonic Vista during the year? I’m active all year round, but in the summertime a lot of people come to the island, so I get a lot of last-minute bookings for things like voice-overs and songwriting. But I’m always busy with mixing and mastering projects for artists outside of Ibiza. What kind of mic collection do you have? I don’t have a vast mic collection. I’m not a collector of stuff that’s going to sit around and get dusty. So I have what I need, and a little extra. I like the Slate Virtual Microphone System and it’s ML-1 microphone, and the mics made by Neat, a gear company started by the former owner of Blue Microphones. Just $300 for their large diaphragm mic and it sounds great! I also use the SE Gemini 2, which has valves if I need that kind of sound. Out of curiosity, does the Slate VMS system really work? Naturally, people would be skeptical about a neutral-sounding microphone that claims to offer the sound of vintage mics because of it’s software component. Yes, it works. It does give your vocal recording the character of the different vintage mics. But with technology like that, it’s easy to lose focus of what really matters, which is the perception of the music by the fans. A lot of engineers get lost in using specific gear, but the fans don’t care about that stuff. I’ve actually tested this idea out myself: I’ve taken a solid-state mic that sounds bright, along with a valve mic that sounds warm, and I brought in a singer to test both of them. She sang into both of them, and afterwards I EQed them with a regular Waves EQ, and made the solid-state mic sound like the tube mic and the tube mic sound like the solid-state mic, and played them back for the singer and asked her to tell me which was which. When she made her choice, I asked “Are you sure?“, because I know she has very good ears. She said, “Yes“, and I said “You’re wrong. Let me turn off the EQs“, and the sounds reversed. She was really surprised, and that’s when I confirmed that spending thousands of dollars on one mic for a certain tone wasn’t a good idea. Better to get your EQs out if you want a certain sound. My main ones are the ones in the Softube Console 1, Waves EQs, and the Maag EQ for its “Air Band“. Let’s not get caught up in big gear collections. I don’t believe in dusty equipment. If you have dusty equipment, sell it to someone who will actually use it. But as far as microphones go in general, my thing is large diaphragm mics with clean outputs. What are your go-to converters? I’m a big fan of the Burl Audio B2 Bomber, as well as Avid converters. I’ll use Avid converters on day-to-day stuff and Burl for everything else. A lot of engineers I talk to say that digital reverb still isn’t up-to-par with the analog units. Do you agree? Depends on the song. People lose context of what its for. Sometimes you need a cheap-sounding reverb. That’s why I use different things, from the Softube TSAR 1, and Eventide Black Hole to the Yamaha SPX 90, the Yamaha R1000 and the Reverb 4000 by TC Electronic. So I have vintage reverbs, old school reverbs, and plugins. I’m still trying to find the right analog spring reverb though. That’s perhaps something I would say hasn’t been modeled well enough as a plugin, though Softube has a good one. But you can’t bang a digital spring reverb in the same way. For that I have a Thermionic Culture Fat Bustard, hand-made in England with special tubes. It was the first summing box with harmonic distortion, thanks to it’s “Attitude” knob. Summing before that used to be clean, but with the “Attitude” knob you get a level of depth to your sound which is indispensable to me. So my final mixing chain is the Thermionic Culture Fat Bustard summing, to a two-track, into the Elysia Stereo Bus Compressor, into the GML 8200 EQ, and then into the Burl Audio B2 Bomber Converter. I see you have quite a few different types of monitors here. Tell me about the ones from Pioneer. I haven’t seen those before. They’re the RM-07s, and are amazing, especially on vocals. They’re marketed as DJ monitors, but Pioneer actually owns an audiophile company that manufactures hi-fi products, and they made these near-fields. I’ve heard DJs say that they don’t like the sound of them, but when I heard them I thought they were great. The thing is, Pioneer doesn’t know what they have with those, because they’re catering to the DJ market, when it’s actually better suited for studio engineers. Cool. Well , this has been yet another fun conversation for me. Let me round off by asking what’s next for you? Are you keeping busy this summer season and beyond? I just hope to keep working on inspiring music, and continue to promote the studio as a spot where creators can come to work. I always keep busy, even in January and December, whether it’s mastering or mixing. I actually have to find time to take off from work. That’s how packed the schedule can become.